Quinns: We’re awake! And alive! Shut Up & Sit Down is officially back in action, ready to spend another 12 months covering amazing board games. What new designs await us this year? What never-before-seen ideas will spring out and delight us? Matt: What hellscape have you interrupted my slumber for? It’s 9am on a Monday morning and I’m looking at one of the worst things I’ve ever seen. 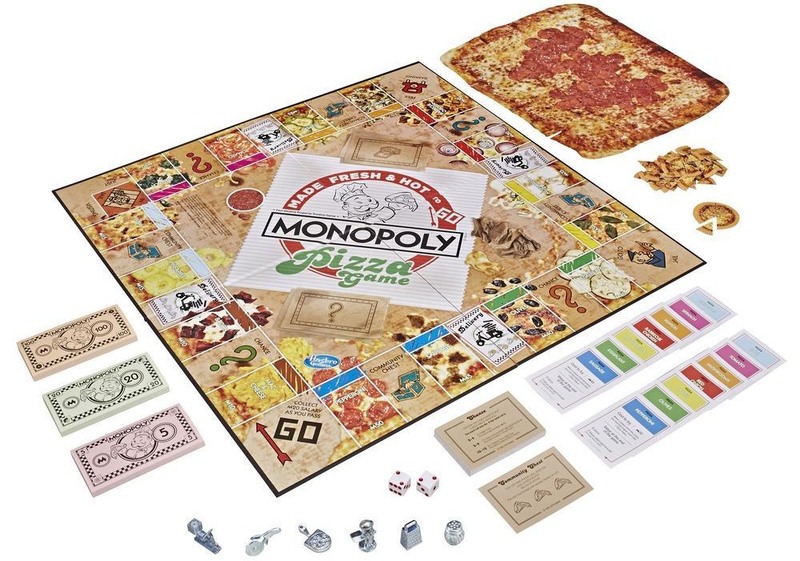 Quinns: Those are the goat entrails that I was reading, trying to divine what awaits us this year… Oh, no, sorry, that’s just Monopoly: Pizza edition. Matt: Who put algorithms in charge of mass toy production? On a more serious note, it’s nice to see capitalism finally adapting to the realities of the next generation. No, you can’t afford to stay in a hotel – but we’re willing to offer you a mortgage on this small slice of pizza. We’re no fans of Monopoly here at SU&SD, to put it mildly – but I don’t think we’ll be alone as we recoil in horror to see a board designed with the aesthetic of a pizza box saturated in oil. I’m not one for making a fuss about people enjoying finger food whilst playing a game, but this is a whole new VISTA of wrong. Quinns: Welcome to 2019, everyone! Wherein we force our uncles to declare bankruptcy because they can’t afford olives. This week’s actual hot new game announcement comes from the esteemed offices of Fantasy Flight Games. The Lord of the Rings: Journeys in Middle-earth is to be an enormous, co-operative questing game where players control such storied heroes as Bilbo Bobbit and Gimli the Worf. It’s also going to cost an eye-watering $100. Matt: ONE HUNDRO DOLLOS? How many Bobbits am I getting!?! Quinns: We can’t be sure, but I can tell you that for your money you won’t just be getting a thoroughbred box of bits. 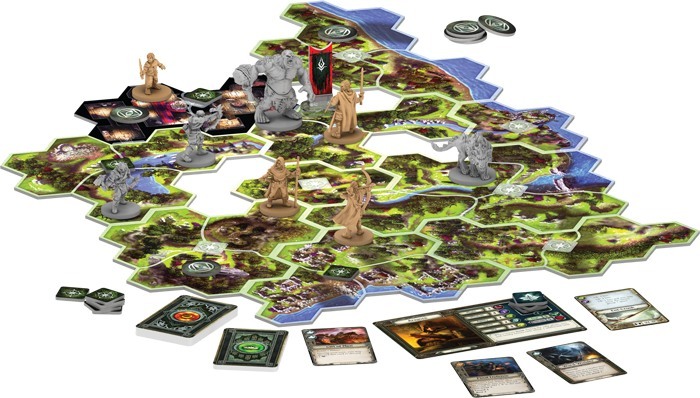 You see, Journeys in Middle-earth will represent the continuation of FFG’s series of co-op games where the games’ antagonists are controlled by an app. 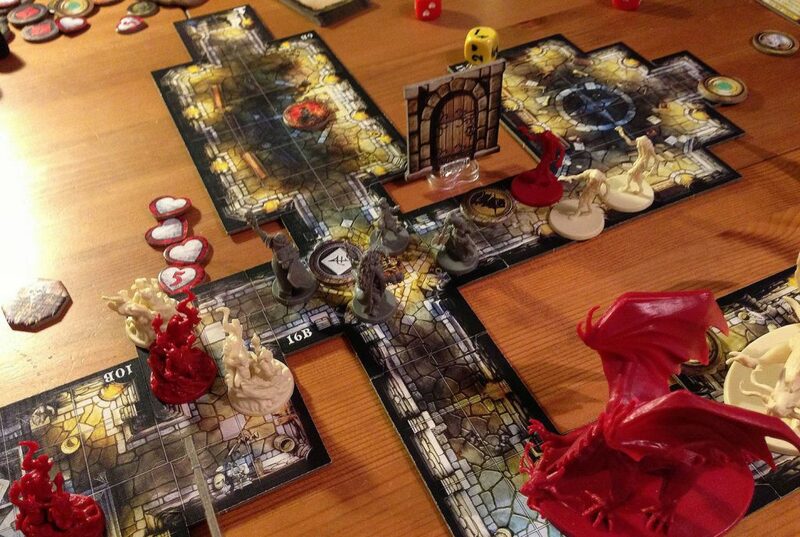 This virtual dungeon master was a hugely popular addition to tactical combat games Descent and Imperial Assault, and the same digital assistant led to a lot of very happy players in Mansions of Madness 2nd edition. Matt: I’ll be interested to see how this one shapes up – I had mixed feelings about their experiment with Imperial Assault, but as a ground-up design this could be very neat. Quinns: Sure! 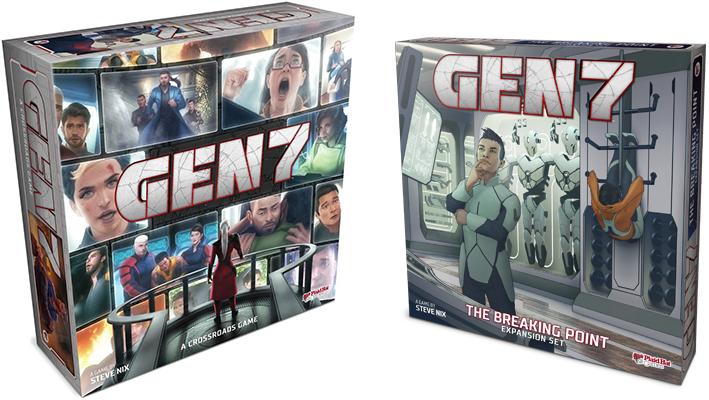 On the one hand, I’m really glad we’ve got a publisher who’s boldly experimenting with board game/video game mashups. On the other hand, I’m one of the few players who used to absolutely adore the 1 vs Many FFG games that earlier versions of these board games represented. Having one of my favourite social dynamics replaced by a phone or tablet is not what I’m personally looking for in my night’s board gaming, but I’m aware that I seem to be in the minority on that one. Matt: Quacks of Quedlinburg by Wolfgang Warsch was one of the games I had the most fun with at the end of last year, and it’s a design that is positively ripe for expansions. In the game players brew potions by blindly pulling ingredients out of a bag, hoping that their concoction doesn’t literally explode. It’s a push your luck bag-builder with volatile potions! I’ve no idea how what I just wrote isn’t nonsense, but it’s definitely one of my favourite things about this hobby. As you’d expect, Die Kräuterhexen (or “The Herb Witches”) – the newly unveiled expansion – adds a fifth player, and a bunch of new ingredients to chuck into your cauldron. One of the listed ingredients coming is “Fool’s Herb”, or as my wife calls it: Oregano. Also added: HERBAL WITCHES. My basic-tier German and game-design spider sense leads me to believe that the Herbal Witches might be an alternative, more consistent reward system for brewing the best potion during each round. More Quacks is More Quacks though – I’m absolutely down. Quinns: Me too! Our audience can expect our video review of Quacks of Quedlinburg early next month. 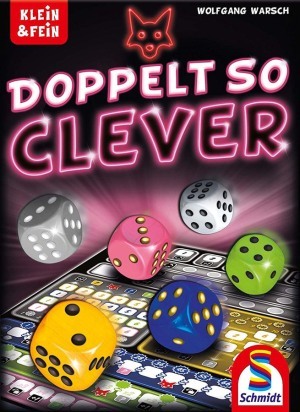 Quinns: In further Warsch news, the sequel to last year’s hit roll-and-write Pretty Darn Clever will be arriving later this year. The title? Doppelt So Clever, which translates as Double So Clever. Matt: I can’t wait to see how this trilogy resolves – the first game ended on quite the cliffhanger. Quinns: Don’t confuse the good people with your *larks*, Matthew! The first game was a smorgasbord of maths, canny calculation and probability with no story whatsoever, which was one of the reasons it didn’t excite us very much. Still, the first game was a fun enough time that I’m interested to see how Warsch elevates the sequel. Matt: Are we sure that Wolfgang Warsch isn’t actually a GANG OF WOLVES? It’s quite alarming how much of this week’s news is dedicated to designs from just one person, but the scope and pace of this designer is like a runaway train that’s eight metres wide. Eight metres wide, and FULL OF WOLVES. Quinns: Matt, can I tell you a secret? Quinns: No. I just think Wolfgang Warsch might end up becoming one of my favourite designers. This guy released Quacks of Quedlinburg, Ganz Schon Clever, The Mind and Illusion all in 2018, which is bananas and bonkers. It is banonkers. 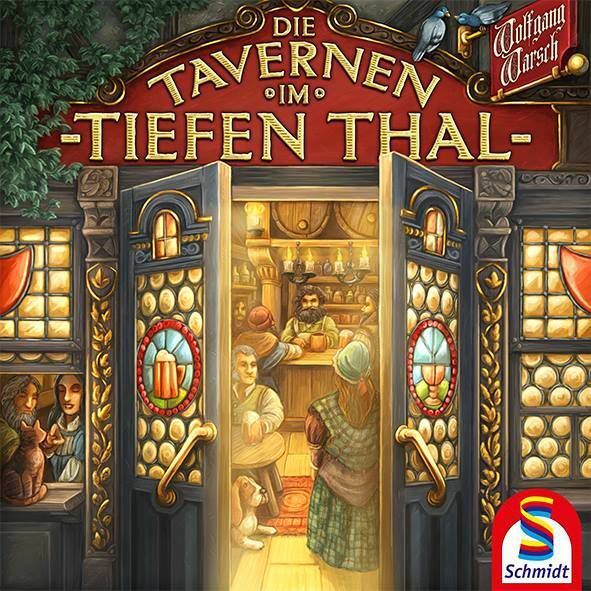 Anyway, now he’s announced another collaboration with the publishers of The Quacks of Quedlinburg, The Taverns of Tiefan Thal, a game about running PUBS that involves DICE and CARDS. Matt: Do we know anything else? Matt: But it’ll have dice and cards? Matt: Next up, Suburbia: Collector’s Edition has been announced! Suburbia is one of the many classics that I’ve yet to find a chance to play, and beautiful new editions of solid designs is definitely something we’re all about at Shut Up & Sit Down – but personally I’m continually disappointed by the aesthetics of some of these glossy reworkings. This new collector’s edition should be a no-brainer, but it feels oddly trapped in a temporal vortex: with art design that looks like an middling Facebook game and a plastic organiser designed by a company unironically called “Game Trayz”. Quinns: Oh, did you miss this? I have bad news. Game Trayz (and their typographical assault on common decency) are becoming more and more common. Matt: I mean honestly that’s fine, it actually looks functionally rather brilliant – I’m just a snob who will happily die on a hill when it comes to people using Z instead of S.
Quinns: Anyhoo, I have a suspicion that you wouldn’t think this edition was ugly if you’d been exposed to the original Suburbia in person. This is a HUGE step up. 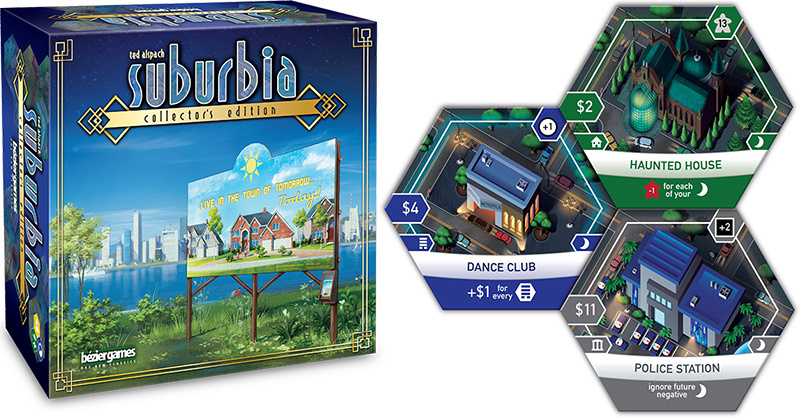 More importantly, this collector’s edition will include both of the previously released expansions for Suburbia, Suburbia Inc and Suburbia 5 Star, plus another new expansion titled Nightlife. That’s easily worth $100 before you throw in the great new art and embiggened components. Matt: While we’re on the topic of revealing me to be an awful person, what on earth is the deal with Sonic the Hedgehog. I mean yes, I loved Sonic the Hedgehog too – but why did he survive the 1990’s when so many others correctly ended in the bin? What about Cool Spot? Zool? Where is the fervent fandom for Puggsy? You’ll have to finish the games news yourself, I’m off to start a Change.org petition to bring back Rolo the Elephant. Quinns: Oh god. I just lot 10 minutes of my work day to watching that stupid video and I will not be signing your petition. Anyway, Sonic Battle Racers is an upcoming board game from Shinobi 7, a studio who are making a few licensed board games. Mostly I included this in the news to say that it seems the 2018 trend of publishers outside of board games commissioning (usually middling) licensed games of their intellectual properties will only increase in 2019. That’s something I’m not wild about, even if you game ships with no less than 40 “Badnik Tokens”.